I have a couple hard drives without enclosures that weren't being put to use. What a shame! All that disc space just sitting there. So I decided to take a chance on a $30 hard drive docking station. Now I'm putting those discs to use. The $30 docking station isn't going to win any awards for craftsmanship or design, but it does work. Insert the drive, push the power button, format it, and start working. Since it's the drive that requires integrity, not so much the docking station, this should serve me just fine for moving my data around. 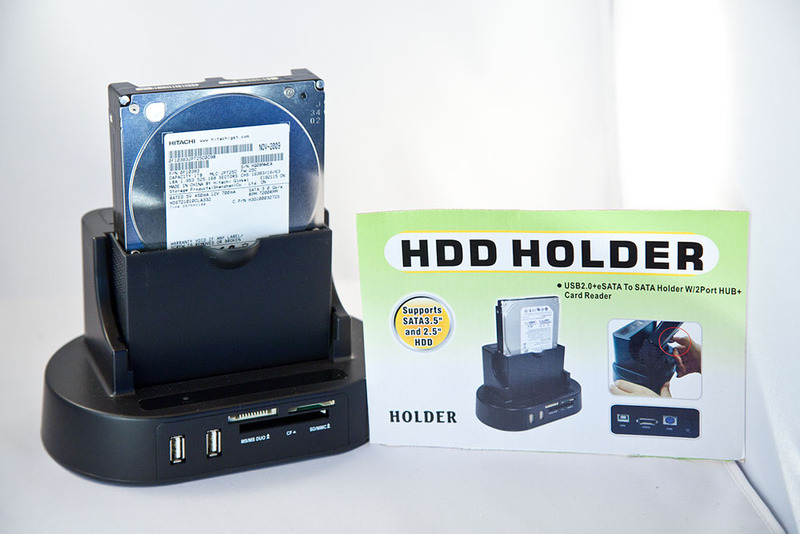 It also includes a card reader and a USB hub with two ports. Don't get your hopes up for the card reader, but the USB hub seems to work fine. 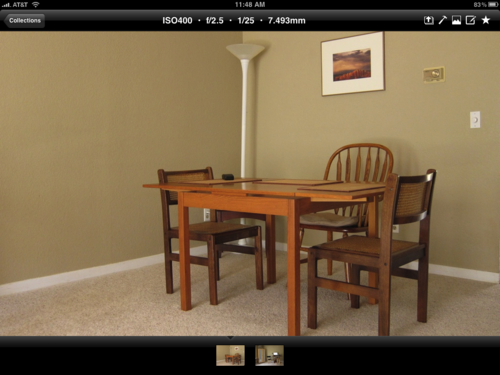 iPhoto is a terrific tool for managing your pictures on your Mac. 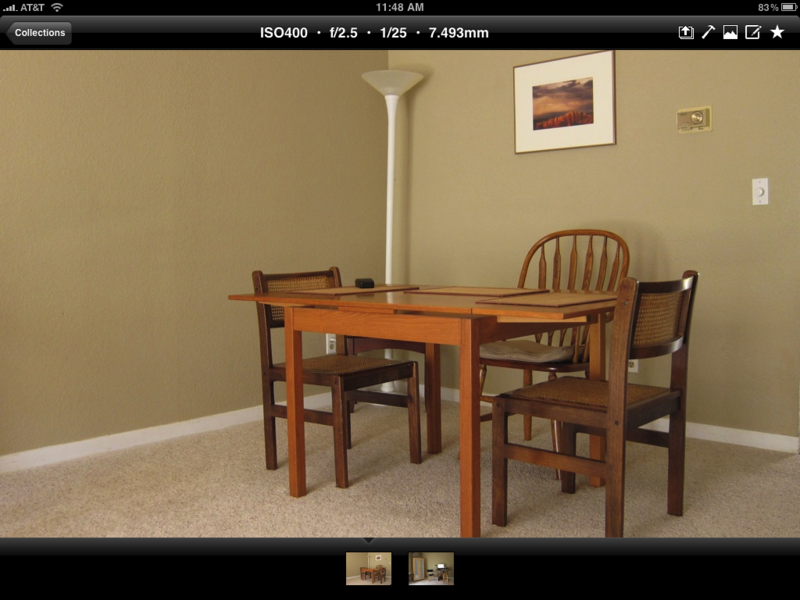 But iPhoto 09 also lets you manage Web albums for Flickr, Facebook, and MobileMe. This helps you stay organized online as well as on your computer. In my latest article for Macworld Magazine, Control your online albums with iPhoto, I show you how easy this process is. Don't keep those great images all to yourself. Share them with friends, family, and even the world! 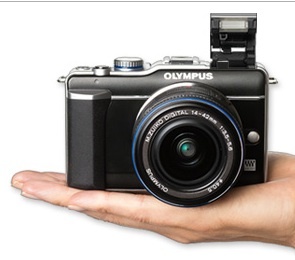 Many of us were thrilled when Olympus added a popup flash to its latest PEN, the E-PL1 , but after using it for a while, it has another feature that I hadn't heard discussed as much: You can angle the flash for bounce too. The popup flash head is attached to an ingenious "arm" mechanism that raises it above the camera body. This helps control red eye and lowers shadows a bit. But what's really cool, is that this "arm" swivels at the base. So you can angle the mechanism back on a 90 degree angle so the flash is pointing directly upward. Yes, you can bounce the built-in flash. For best results, increase your ISO to 400 or 800. 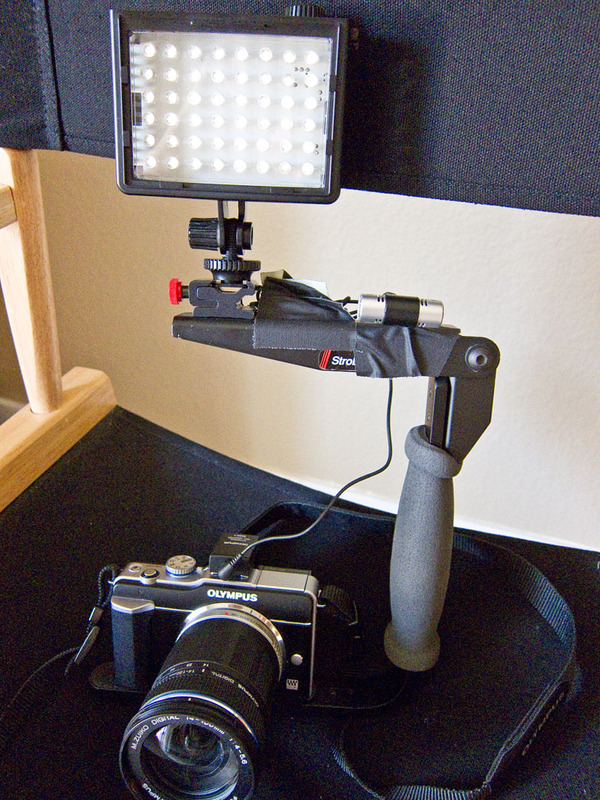 This will extend the range of the flash when bouncing it off white surfaces. If you want to play with page layout designs for your first photography book, you can download the free BookSmart software (Mac/Win) and experiment. It's powerful and easy to learn. I've embedded a short 2-minute video on How to Get Started with BookSmart Software on our new "Blurb on The Digital Story" site. 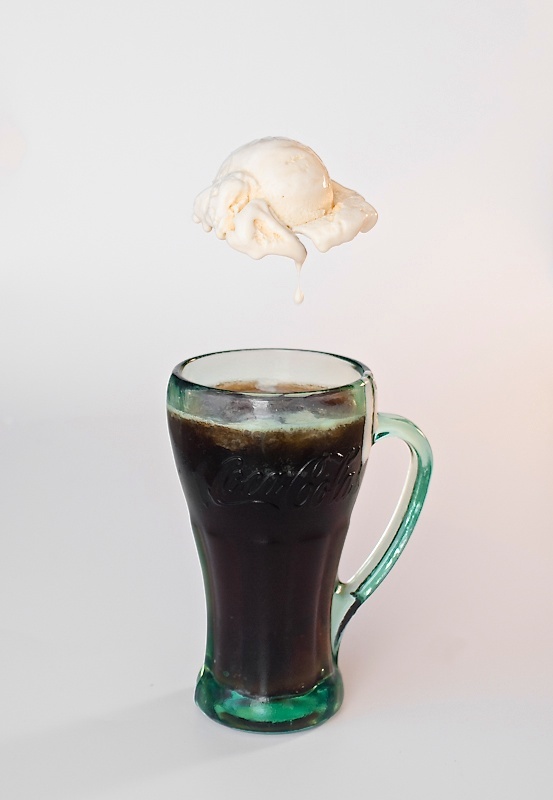 After just a couple minutes, you'll see how easy this process can be. When I work with the iPad, I want to work fast. Transferring images from my Canon PowerShot S90, even with the very cool Camera Connection Kit, takes longer than I want for blogs and social networking posts. Fortunately now, using the Eye-Fi Pro X2 WiFi SD Card , and a nifty application on the iPad called ShutterSnitch, I can send images directly from my camera to the iPad in about 3 seconds. iPad image downloaded wirelessly from an Eye-Fi card using ShutterSnitch. Click for larger image. Set up your Eye-Fi Card - Make sure the wireless network you'll be using is registered with the card using Eye-Fi Center. Also make sure that "Public Hotspots" and "Relayed Transfer" is turned off. 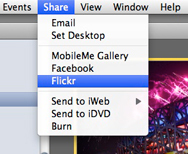 Set up ShutterSnitch - Click on the Options button and choose "Set up Eye-Fi Access." You'll need your Eye-Fi user name and password. 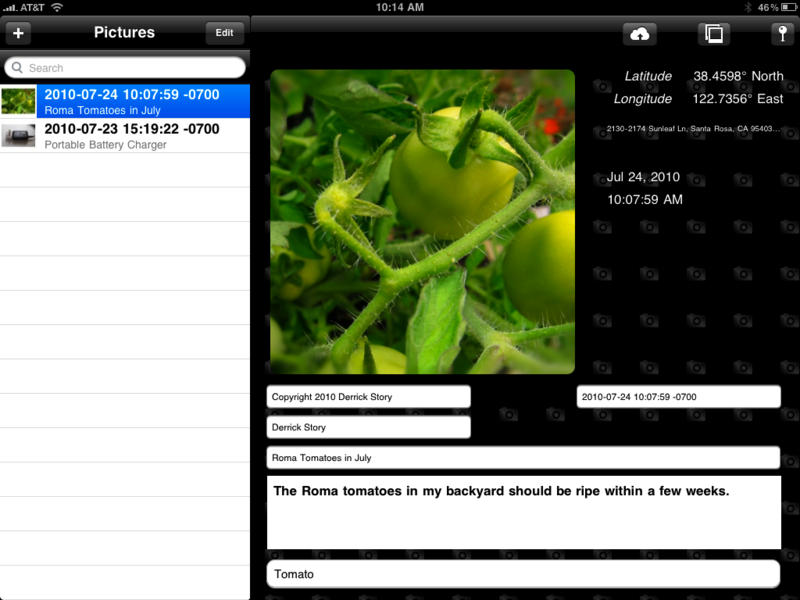 Create a new Collection in ShutterSnitch - You have to be within a Collection to receive photos from the Eye-Fi card. 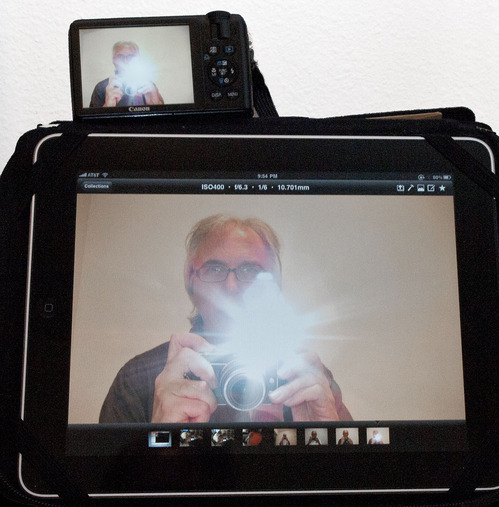 Take a picture - Within a few seconds ShutterSnitch will download it to the iPad. Once the photo is on your iPad, you can send it via email, add star ratings to organize within the Collection, export to your Photos album, send up to Flickr, and more. 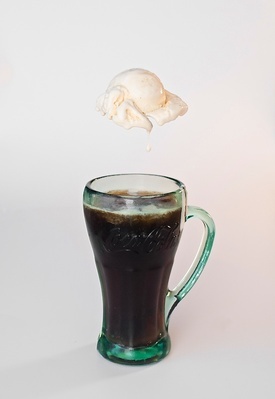 The images sent via email were full size. Nice. 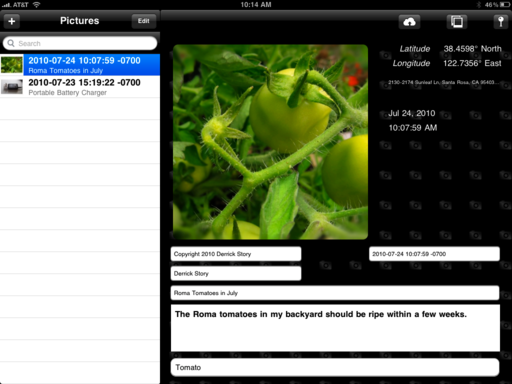 ShutterSnitch is available in the iTunes App Store for $8. And I'm happy to recommend it. Panasonic LX5: Will it Unseat the Canon S90 Among Pro Compacts? Panasonic reminded us today that they're not ready to concede top honors for pro-toting compact cameras. 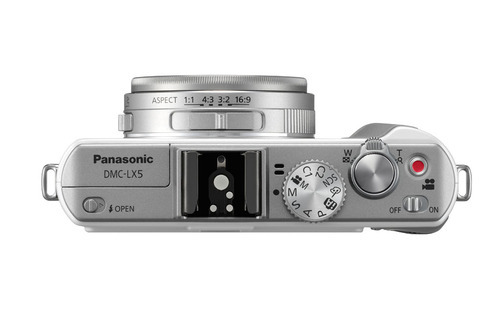 With the release of the Panasonic Lumix DMC-LX5 , they've provided tough competition to the Canon PowerShot S90 . Size: LX5 (110 x 65 x 25 mm) S90 (100 x 58 x 31 mm) -- Canon S90 is a bit more compact, but both cameras weigh-in around 175 g.
Lens: LX5 (24-90mm - f/2.0 - 3.3) S90 (28-105mm f/2.0 - 4.9) -- Panasonic lens is a bit faster overall and is wider. Canon zoom has a bit more reach. Which is better will probably depend on your shooting style. LCD: LX5 (3" 460K dots) S90 (3" 461K dots) -- A virtual tie. Video: LX5 (up to 1280 x 720) S90 (up to 640x480) -- Panasonic gets this one. Continuous Shooting: LX5 (2.5 fps for 3 frames) S90 (1 fps with not specified limit) -- Panasonic is better at capturing short bursts. 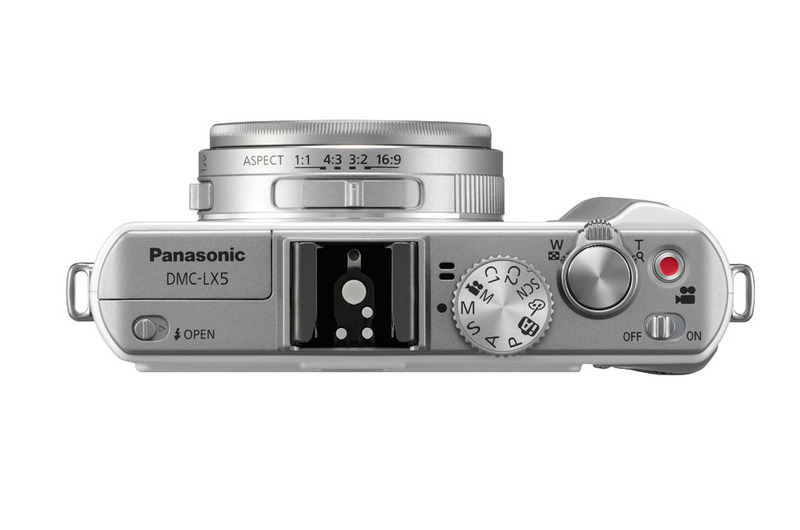 Auto Focus: LX5 (23 point) S90 (9 point) -- Panasonic has more focusing points. Price: LX5 ($499 when released in Aug. 2010) S90 ($349 available now) -- The Canon is definitely more affordable right now. The Panasonic LX5 has some other goodies that aren't available for the Canon S90, such as a hot shoe, accessory electronic viewfinder, and the ability to accommodate filters. 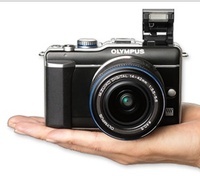 On paper, the LX5 looks like a great camera that beats the Canon S90 in many categories. The bottom line will be image quality. We'll have to wait and see for that comparison.